High-end headphones are going quiet and cable-free. Until recently unreliable and frustrating to link, wireless Bluetooth tech is coming of age, while the kind of active noise cancellation used by airline pilots has until now been an expensive and not particularly impressive luxury. Both technologies have matured, and the Zik 2.0 are some of the first fruits. 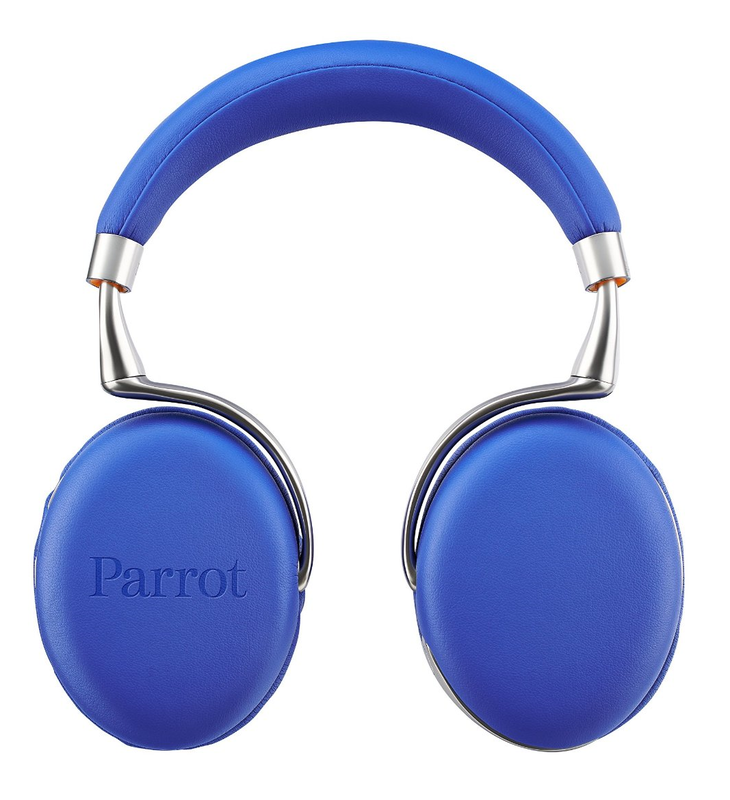 Designed by Philippe Starck, this latest version of Parrot’s flagship cans weigh just 27g, which is quite a feat for such an expensive pair that claim a plethora of sound presets and active noise cancelling. Gorgeous, ultra-lightweight, flexible and small enough for a carry-on bag when flying, the Parrot Zik 2.0 go up against the Bang & Olufsen H8, which we went ears-on with recently. Available in yellow, there are some cool aspects to the Zik 2.0; the ear-cups are touch-sensitive – volume, next track, previous and call answering and all via fairly logical swipes – while the music automatically switches-off when you lower the headphones from your ears. It’s also possible to talk to Siri through the headphones’ mic, which is a nice and necessary touch. If anything, the Zik 2.0’s ear-cups are too sensitive. During a test call of the Zik 2.0’s HD voice-capable microphone and hands-free calling (which was superbly clear even across continents), our tendency to wave our hands around proved our downfall; accidentally touching then ear-cups causes havoc … but we’ll get used to it. Sadly the Parrot Zik 2.0’s battery isn’t even in the earphones, let alone pre-charged, so don’t count on buying a pair at the airport. Also, the battery took two hours to charge-up, and only lasted about six hours in our test. However, there is a cable to use the Zik 2.0’s with a phone when the battery has run down, which is handy indeed when travelling. Because the noise cancelling is so good it’s possible to listen to them at a far less volume, which has to be good for the ears. Compared to the Plantronics BackBeats, the Zik 2.0 have much better noise cancelling; we could hear people nearby talking on the phone on the former, but not on the latter. The app must be used to change the sound settings (equalizer, bass, etc), though you also need for for operating the noise cancelling. There’s a dearth of instructions in the manual, and we did find it quite confusing to use at first. The equalizer looks cool, and various preset apps that include a ‘tuned by’ section. There are celebrity presets from DJ Jazzy Jeff, Conchita Wurst (the Eurovision winner) and La Roux, from only about 12 in total, plus scores of others by random users. They can be scanned by genre. It’s hardly must-have, but welcome for the lazy or experimental. Bluetooth is very freeing; access to a phone is easier without having a cabled pair of headphones strung across your body, and the Zik 2.0’s are great-looking and great-sounding. However, they’re a touch of battery life away from true versatility for travel.